Instantly find games you want to watch and get up-to-the-minute box scores and updates. Set your favorite teams, get updates and more! Never miss a second of the action. 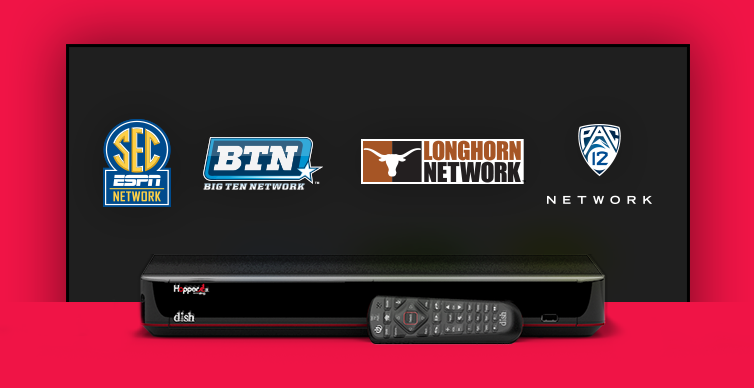 With DISH Anywhere, you can take your live games with you, wherever you go. Just download the FREE DISH Anywhere app and take 100% of your live and recorded TV on the road. Get that sports bar experience in the comfort of your own home with MultiView feature. Watch 4 games on one screen at the same time and never miss a big play again. Elevate your tailgate with live HD TV from a DISH portable satellite antenna. Watch all the conference rivalries and pre-game activities in crystal-clear HD in the parking lot – no Wi-Fi required! “STOP FEEDING THE CABLE PIG” Laketon TV has an additional $5 off every Package. We also can save when you bundle TV Internet and phone. Laketon TV, Appliance and Satellite Center is an Appliance and Electronics store located in Penn Hills, PA, offering TV, Appliance and Satellite Sales and Service. Laketon TV Is a Premier Retailer for dish Network. No need for sales at Laketon TV we shop the competition everyday so you get the Best Price everyday. By providing your telephone number and clicking submit you authorize Laketon Tv Satellite and Appliance Center, DISH Authorized Retailer, or its representatives to use this number to contact you regarding DISH products and services through an automated or predictive dialing system or prerecorded message system, regardless of whether the number is on any do-not-call lists or is otherwise registered as a wireless telephone number. You understand that you do not need to provide a cellular phone number to receive DISH services. Laketon Tv Satellite and Appliance Center is an authorized retailer of DISH Network L.L.C. DISH, DISH Network and DISH Network logos are trademarks, registered trademarks and/or service marks of DISH Network L.L.C. and/or its affiliate(s). The DISH Network trademarks, registered trademarks and/or service marks are used subject to license of DISH Network L.L.C. and/or its affiliate(s).